There are many versions, however it is claimed that the oldest functioning temple is the Mundeshwari Devi Temple, in Bihar, India, dedicated to the worship of Lord Shiva and Shakti. 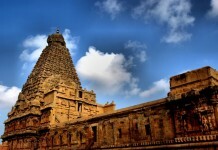 We are here to reveal a temple that is recognized as oldest temple in the world. 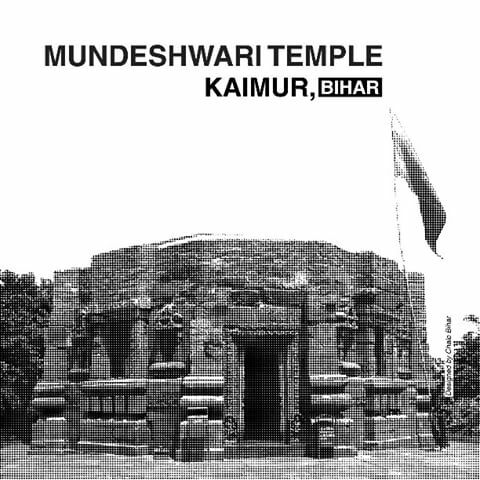 Yes, you heard it right and this oldest temple is in Bihar named as Mundeshwari temple. 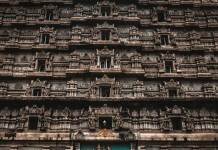 Devotees from Sri Lanka visit this temple due to its old age religious value. It was built in 635-636 AD. However, according to some other studies, this temple is said to build even before 635 AD. There are several legends about the temple which survive to this day, and which can be experienced only after visiting it. Most notably, here one finds a Shiva Linga in the sanctum sanctorum, which changes its colours with changing shades of the Sun. Then there is the demonstration of a particular type of bloodless animal sacrifice in which the goat is not killed but is made unconscious with certain mantras for some time, and then again made conscious. This must be seen before believing. Most interestingly, though the temple is named as Mundeshwari, the presiding deity at the centre of the sanctum sanctorum is that of Chaturmukh (four faced) Shiva Linga, while the idol of Mundeshwari is placed in one of the sub-chambers of the main shrine, near the main linga. 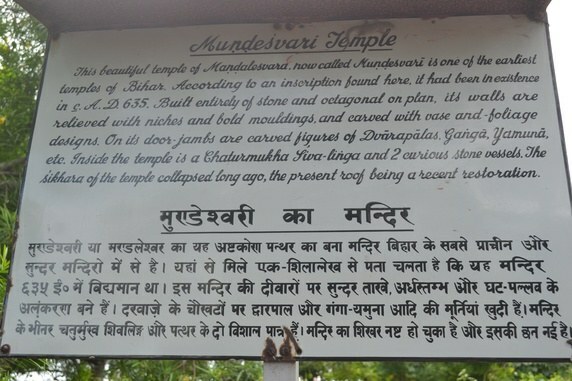 The name Mundeshwari is often taken to have originated from Munda, the legendary daitya mentioned in the Puranas, along with Chanda; but the origin is still not clear fully. In the temple’s sanctorum, statues of Shiva and Shakti are there. At the moment, the temple’s condition is not much good and most of the scriptures inside are fragmented as well. The temple is positioned at the Kaimur hills and at the elevation of 650 feet. The original tomb of this temple has been destroyed and thus the new roof has been developed in its place. 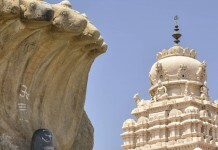 British historian Cunningham too mentioned about this temple in his studies. Mundeshwari temple is now managed by the Bihar Religious Trust Board. People believe that a goddess destroyed a demon called Mund on this hill and during then locales built this temple in memory of Mundeshwari goddess. The stones scattered on the hill have verses inscribed on it. The structure of the temple is Ashtakar. In one corner is the goddess Shiva Mundeshwari statue while in the middle, one can see the fourfold Shiv Linga. 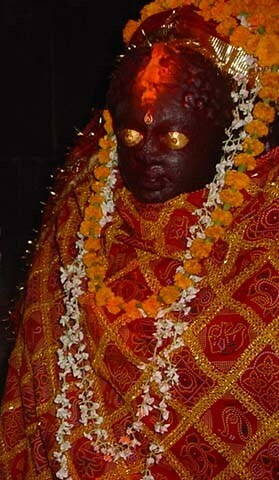 Many of the fragmented sculptures from this temple are kept in the museum of Patna. Kaimur Range is the eastern extension of the Vindhya Range and many plateaux and waterfalls crisscross through it. Many hills of the Range have series of rock paintings with historical and evolutionary significance. Devotees from Sri Lanka used to visit this temple and it can be proved by seeing the coins available at narrow path to this temple. These coins have something written in Sinhala and Tamil language which proves that devotees from Sri Lanka visited this temple. There is a cave on the hill but it has been closed due to security reasons.